Bikers Against Child Abuse Needs Your Help! Erie County chapter of BACA holds toy drive benefiting The Mercy Center for Women & The Shriners Children's Hospital. The Erie County chapter of BACA (Bikers Against Child Abuse) is holding a toy drive benefiting The Mercy Center for Women and The Shriners Children's Hospital. According to their website, "BACA of Erie County, PA Inc. strives to create a safer environment for all children who have been neglected or abused by providing physical and emotional support for both the child and the family. We work with local and state officials and agencies that serve and protect these children. We tirelessly campaign to prevent all types of abuse of children before it starts." The toys will be delivered on Wednesday, December 7, so there's not much time left for you to join with BACA to help brighten a child's Christmas. 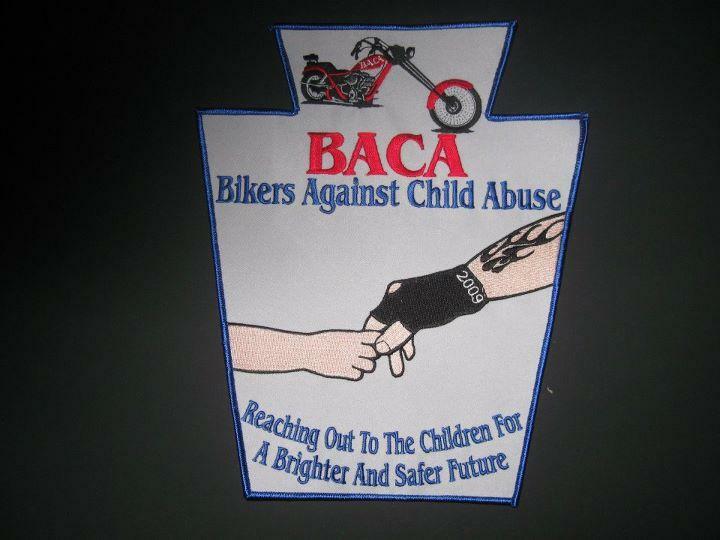 "Although the bikes have been put away for the winter, the bikers are still here helping out in the community," said Chad Zaczyk, president of BACA. "I'd estimate we've already got in excess of 250 toys." There are several ways you can get involved with this worthy cause. If you would like to donate an unwrapped toy (not exceeding $10) call Chad at 814-218-7642 or email him at BacaErieCo@yahoo.com and he will make arrangements to pick it up. Alternatively, you can bring your toy to either The Mercy Center, 1039 East 27th Street, around 5:00 on Wednesday, or the Shriners Children's Hospital, 1645 West 8th Street, around 6:00. If you'd like to donate cash instead, visit BACA's website. Please ensure you have made your cash donation by Tuesday, December 6 to allow BACA members time to get to the store and buy more toys! You can check out BACA's Facebook page here.